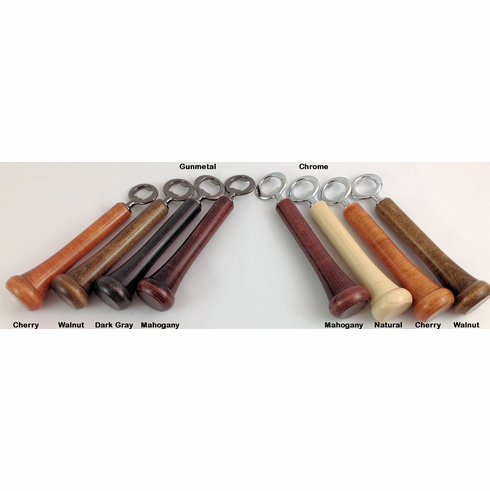 These unique bottle openers are made with wooden baseball bat handles! Choose the color/finish of the wood and choose gunmetal or chrome hardware. Measures appx. 8.5" long.